Getting a new puppy is an exciting time for you and your family. A young pup’s boundless energy and playful nature will make them an instantly loved addition to your pack. Taking care of a new dog comes with its share of challenges: things like housebreaking, training, and obedience commands. But there are other issues that are exclusive to young dogs as well. One of these is a condition called panosteitis. Panosteitis, or “pano” for short, affects puppies aged two years or less. While pano is a fairly common ailment, it can be very uncomfortable for your furry friend. The good news is that you have plenty of options for treating a poor pup with pano. Panosteitis is a condition that causes lameness and/or limping in young dogs. It is sometimes referred to as “growing pains,” since it typically affects dogs throughout their first two years of life. 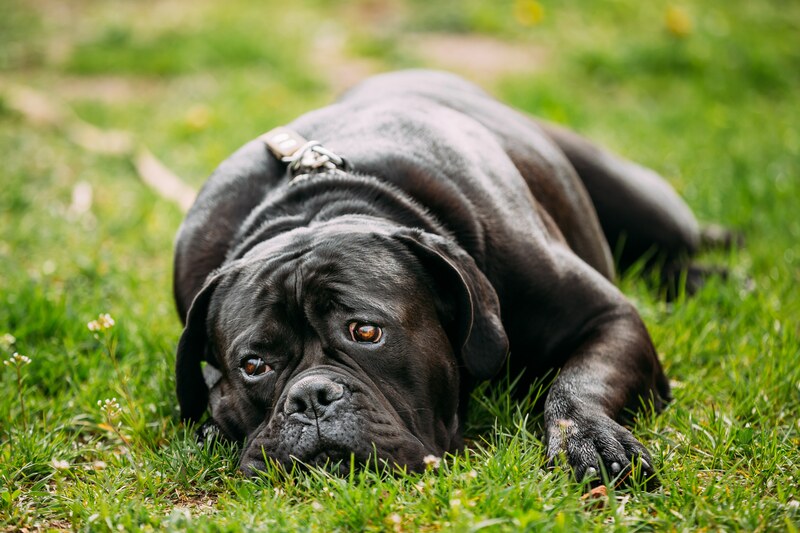 Symptoms will typically arise in dogs aged between 5-14 months, but there have been cases with dogs as young as two months and as old as 18 months. After your dog hits two years of age, the effects of pano will completely – and quite randomly – disappear. Pano can also be more simply known as “bone inflammation,” because at its core, that’s essentially what the condition is. Pano causes inflammation on the outer surface of the long bones of young dogs. This inflammation causes discomfort, which in turn causes limping. In most cases of pano, the inflammation will affect the front legs, but it is not unheard of for the condition to affect the back legs too. The root causes of pano are unknown. 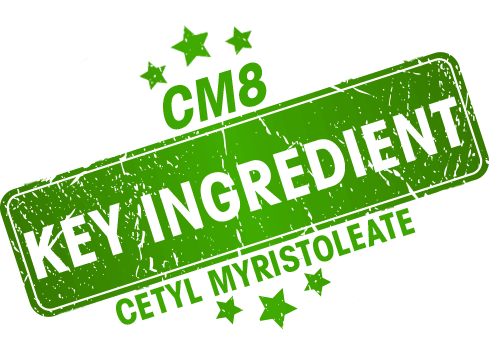 Some researchers have drawn links to pano from diets that are rich in protein and calcium. 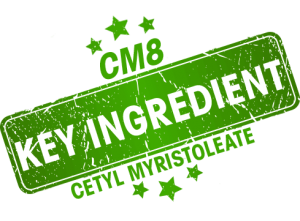 Other research over the years has suggested a great variety in potential causes – anything from infections to autoimmune disorders to rapid-growth of your dog to stress. While the exact cause has not been clearly defined at this time, there are certain patterns that veterinarians studying pano have picked up on. One of the strongest links between pano and the dogs that have it is genetics – or, more specifically, a dog’s breed. This doesn’t mean that smaller dogs are immune to the condition. You should monitor your pup’s behavior and movement to identify a possible pano affliction as soon as possible. The most common sign of pano is a lameness or limp that appears out of nowhere. The limp can last anywhere from a few days to a few weeks, and the pain level ranges from mild to severe enough where your dog will not want to put weight on the leg at all. Additionally, the affected leg may become so sensitive that just touching it will cause discomfort for your dog. Once an episode of pano has subsided, it usually returns about thirty days later. The inflammation may be in the same leg as before, or it may move around to a different leg. Other symptoms may also accompany the onset of pano, such as fever, loss of appetite, or a high white blood cell count. Because these symptoms are often associated with several other types of illnesses that are not pano, it’s important to visit your veterinarian to make sure you are receiving the correct diagnosis. If you suspect pano is an issue for your dog, your veterinarian will take some x-rays (or in some cases, blood samples) to help confirm that the pain your dog is experiencing is not being caused by a more serious issue. There are some other conditions that are similar to pano that may lead to further ailments down the line. Another bone condition that seems to greatly affect young, large breed dogs is hypertrophic osteodystrophy. Since that term is such a mouthful to say, the condition is more commonly referred to as HOD amongst veterinarians. Like pano, HOD will cause pain in the legs of young pups. A difference with HOD, however, is it affects multiple legs at once, as opposed to the singular-leg effect of pano. HOD also tends to be a more painful condition than its counterpart. Though no specific breeds seem to be more susceptible to this disease than others, male dogs seem to be stricken with HOD more than females. This is true for most of the bone disorders that occur in large breeds. HOD will be diagnosed by your veterinarian in the same way that pano is diagnosed – through x-rays and blood tests. HOD is a more serious concern that pano, because it has the potential to permanently damage the growth plates if the swelling does not subside. A third bone condition that affects young dogs is osteochondritis dissecans, or OCD. The OCD your pet might be experiencing is, of course, very different from the kind of OCD you usually hear about in humans. OCD doesn’t share all of the same symptoms of pano and HOD, but it is worth mentioning this disease to help articulate the differences between it and the others. OCD is a disease that specifically affects the cartilage in a young dog’s joints. Under normal circumstances, cartilage will attach to the bone. In a dog with OCD, however, the cartilage separates and begins to dry out. Eventually, pieces of cartilage will chip off and begin to hover around the joint, causing discomfort. Symptoms of OCD usually become present in a puppy aged between four and ten months. As with pano and HOD, lameness or limping will occur. But unlike the other two conditions, OCD can be found in a dog’s shoulders. Depending on the severity of the case, surgery may be required to remove the chipped pieces that are causing your dog pain. If you and your veterinarian determine that your dog has pano, you’ll be able to choose the treatment you’re most comfortable with from a number of different options. We always want what’s best for our pet. When it comes to illness, that usually means taking preventative measures like administering a vaccine. When it comes to pano, there isn’t really anything you can do to keep your pup from developing the condition. Similarly, there isn’t a cure that will keep pano symptoms from returning. With pano, you and your pet will just have to wait it out. Pano will eventually go away on its own, but there isn’t anything you can do to expedite that process. 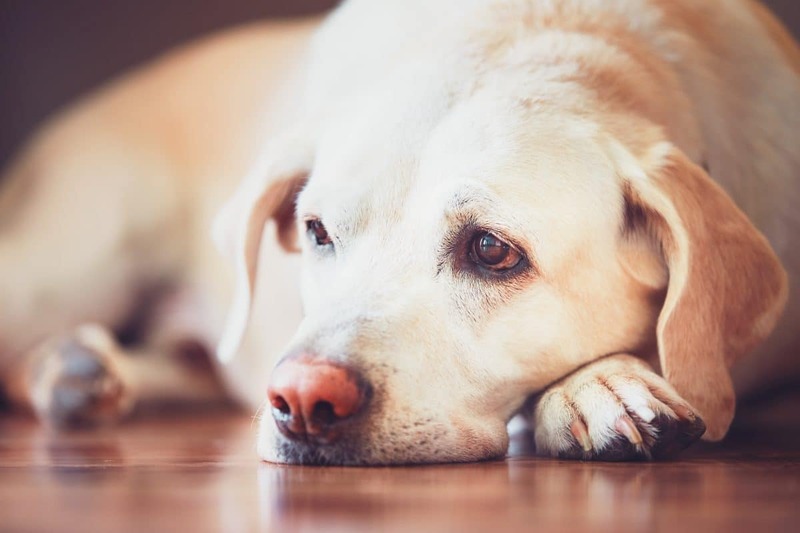 That can be a tough thought to consider when seeing your dog in pain, but the good news is, there are several different ways you can help to keep your pet as pain free as possible. One of the more obvious ways to make a pet with pano more comfortable is to restrict their activity. If your pet’s joints are hurting, limiting the amount of running and jumping they are doing will certainly help them feel better. Additionally, you should make sure your dog isn’t overweight. While that’s generally a good rule to follow, pano or not, an overweight dog will put more stress on their joints, which in turn would make this uncomfortable condition even worse. There are also many different kinds of medications you could use to help alleviate pain. 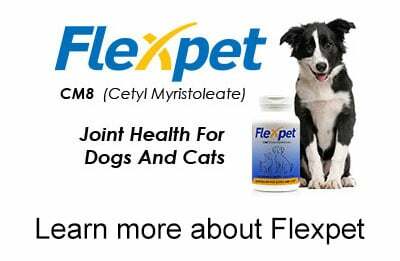 If you’re looking for something a little more natural, Flexpet is an excellent solution to help keep your dog pain free. 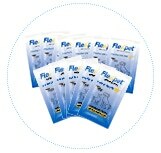 Flexpet offers an all-natural alternative to other medications that works hard to get to the root of the pain problem. In addition to helping relieve pain, Flexpet helps your forever friend in other ways. 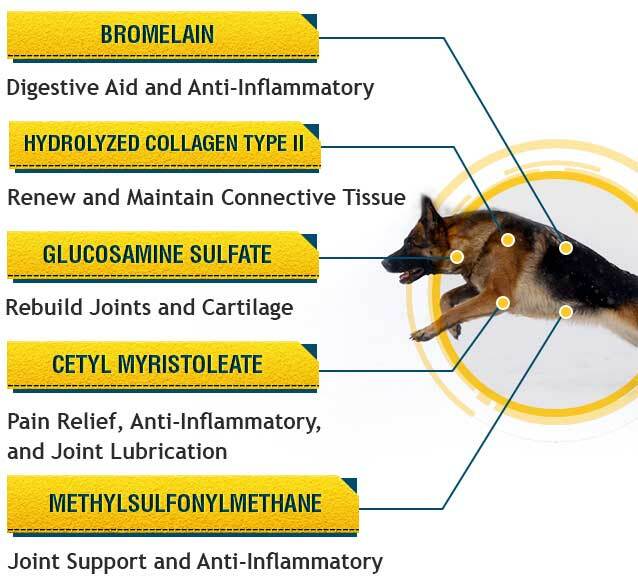 Its active ingredients work to lubricate your dog’s joints, as well as help rebuild joints and cartilage. 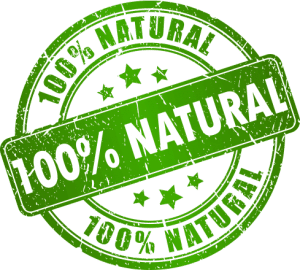 The inclusion of bromelain in Flexpet also makes sure your dog is digesting the supplement properly, and that the healing aspects are being properly retained. Knowing that your dog will eventually outgrow their pano symptoms doesn’t make it any easier to see them suffering. Even though pano isn’t a particularly serious condition, you’ll still want to make every effort you can to alleviate any discomfort your little pup may be experiencing. With the right combination of diet, rest, and a soothing joint supplement like Flexpet, you can help your pet weather the pano storm and get back to being the playful pup you fell in love with.